Tata Teleservices planned to house their new office in an erstwhile Mill premises located in central Mumbai. 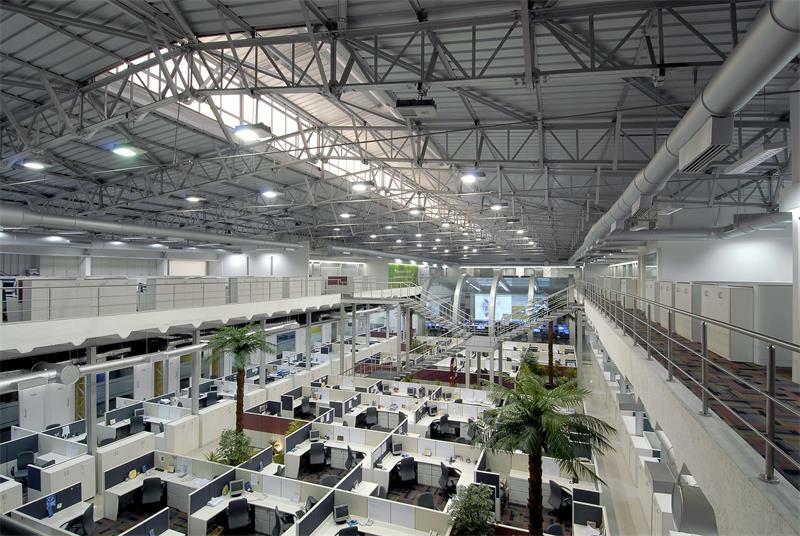 The programme required to house, in addition to their office requirements, a network operations center within this facility. The design approach adopted was to unify the entire interior volume, affording maximum possible visual continuity, while rendering the centrally located NOC the focus of the interior space. The NOC was therefore conceived as a series of ribs with glazed infill panels, maximising transparency. This was surrounded by the double height volume of the former industrial structure. Peripherally, mezzanine floors were constructed to house the enclosed office spaces with maximum efficiency.